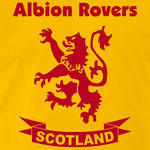 Stirling Albion Predictions | Albion Rovers F.C. I have to predict a win 2-1 for Rovers as we’re running out of opportunities. 4-0 Stirling. Dont see anything else based on current performances. That 2-0 prediction will come up one day. 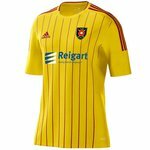 Probably when we kick off season 2019-2020 at home to Dalbeattie Star in the Lowland League at Coatbridge Outdoor Sports Centre. Don`t forget that the present Stirling manager has taken his side to within a point of the promotion play offs - a team that was second bottom when he took over. But he wasn`t considered good enough to be short listed for Rovers job. Another tough game - ain't they all! Reckon we can nick a point - 1-1 to the Albions! Not much between the sides so far - Stirling looking more dangerous though. We’re rotten at the back and Newell posted missing up top. Newell is the worst player on the park. Should be hooked at half-time. Not much to report. Referee has had a howler (poor decisions for both sides) and Stirling Albion’s Manager has been pretty vocal about it. Rovers defence very ropey and PJ has made a few errors.